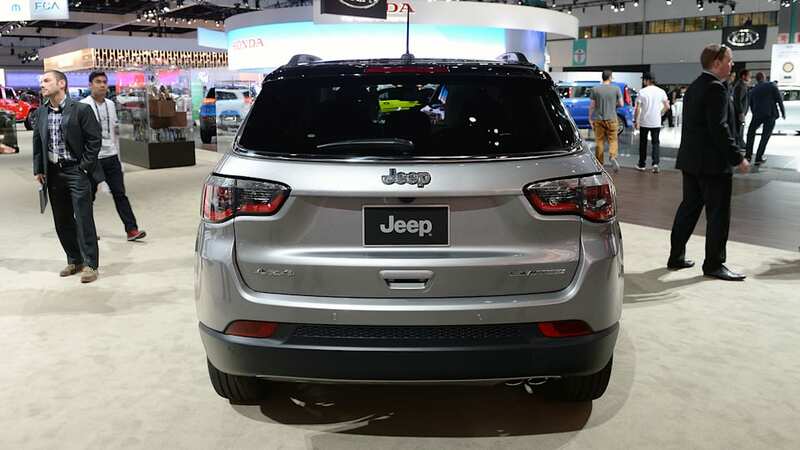 Jeep finally thinks it has a Compass that points true north. 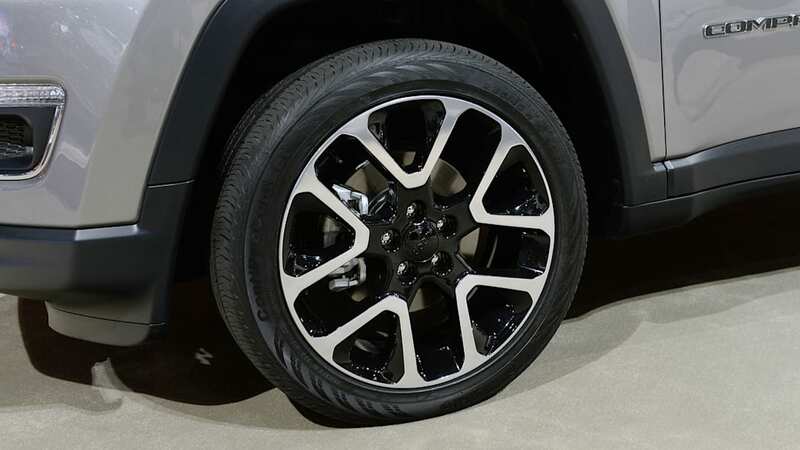 When the compact crossover first debuted alongside the Patriot for the 2007 model year, it was all wrong. The original Compass didn't look like a Jeep, didn't have any off-road credibility, and wasn't remotely fun to drive. It was, by all accounts, a failure. 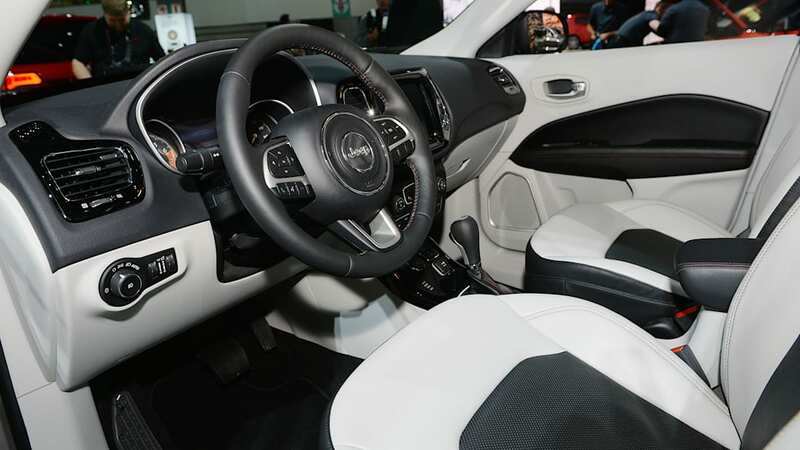 A mid-cycle refresh helped matters in 2011, and the addition of a six-speed automatic to replace the unloved CVT made 2014 and later models the best of the breed. Until now, that is. 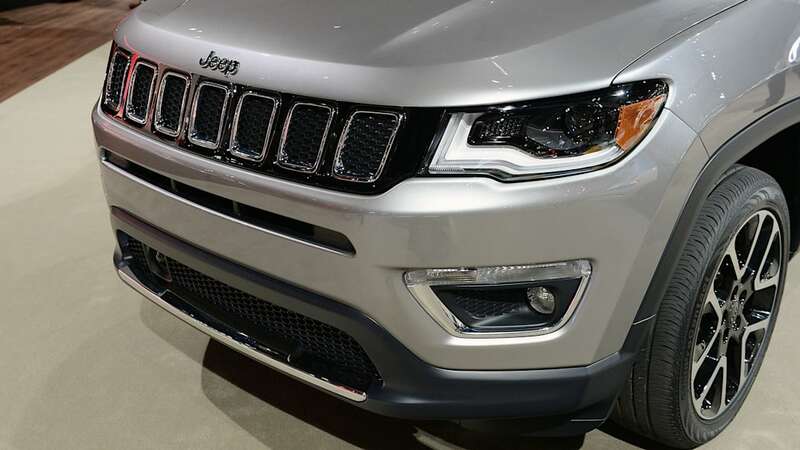 There's a brand-new Jeep Compass for 2017, and it looks to put Jeep's compact crossover contender back on track. 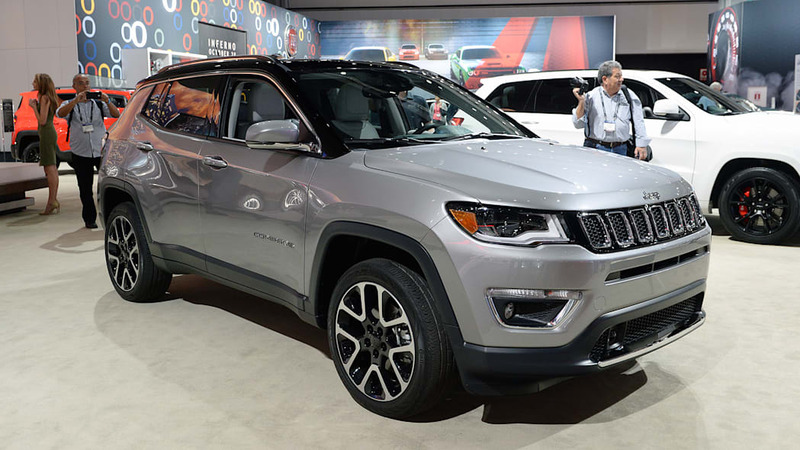 The new Compass looks a lot like a shrunken Grand Cherokee, which is no bad thing. 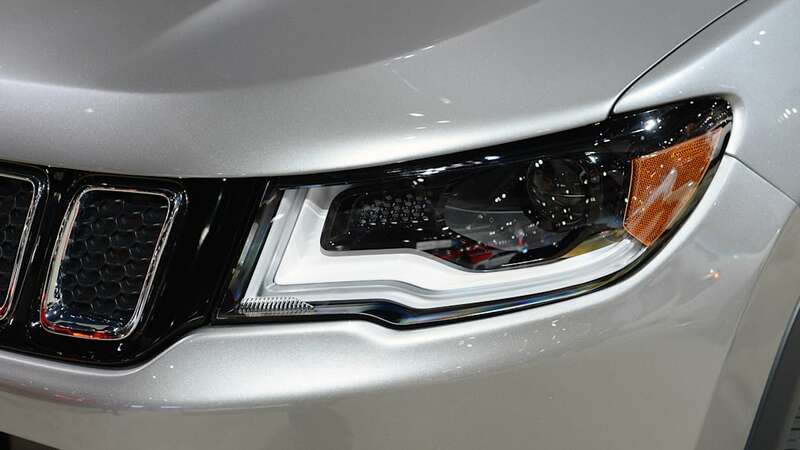 A slotted grille leads the way, and the bulging fenders and slowly rising bodysides add visual interest to the two-box shape. 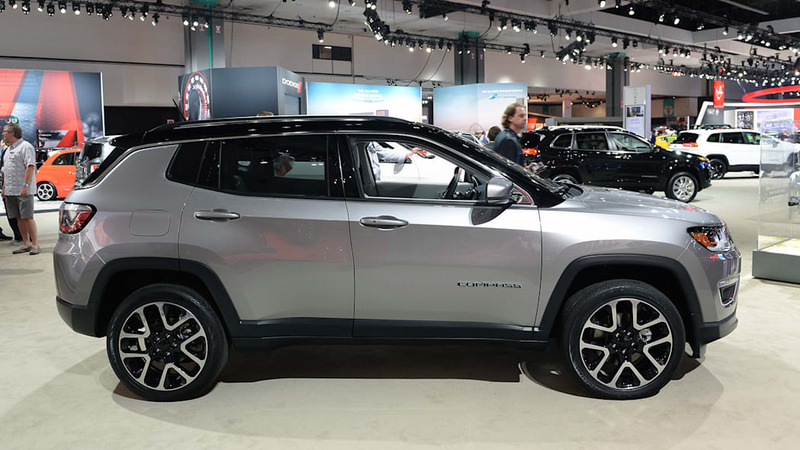 An optional dual-pane sunroof should help keep the cabin from feeling too confining, though the Compass lacks any sort of removable top system like that of its smaller sibling, the Renegade. One engine will be available in the United States. The 2.4-liter Tigershark four-cylinder engine offers 180 horsepower and 175 pound-feet of torque. That's 8 more ponies and 10 more lb-ft than before. Buyers can choose from three transmission options, starting with a six-speed manual on either 4x2 or 4x4 versions. 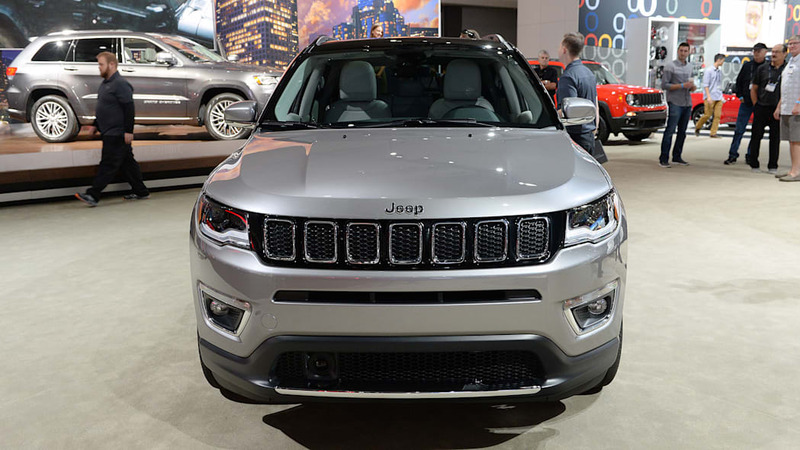 Front-wheel-drive Compass models get a six-speed auto option, while 4x4 models get a nine-speed. 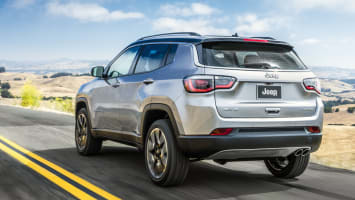 Both the Jeep Active Drive and Jeep Active Drive Low – the latter system features a crawl ratio – can send 100 percent of the engine's available torque to whichever individual wheel has the most traction. 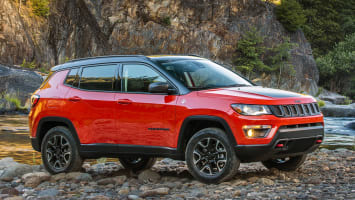 A Trailhawk model (above in red) is a new addition to the Compass line, and it comes with unique fascias and a small suspension lift that improve its off-road cred with a 30-degree approach angle, 24-degree breakover angle, and 34-degree departure angle. 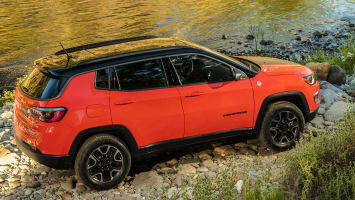 Trailhawk models get Hill Descent Control and a Rock Mode added to the Selec-Terrain system, which, coupled with a 20:1 crawl ratio, should make the Trail Rated Compass the most capable vehicle in its class. 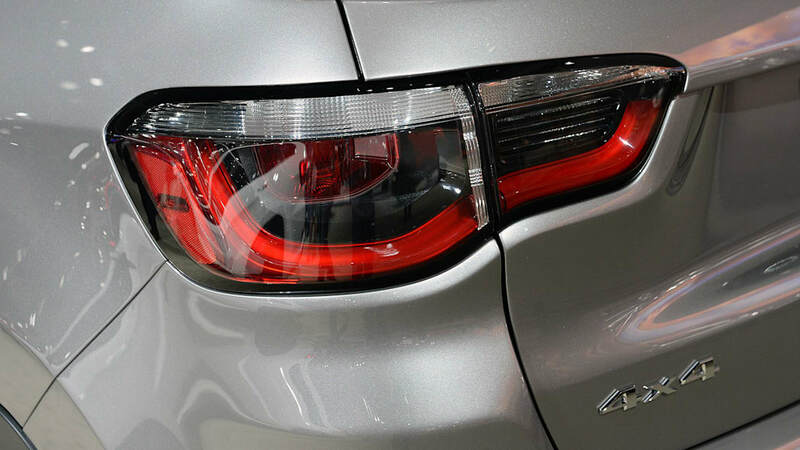 As you would expect, the Compass is a unibody. That should make it pretty comfortable on the road, too, and its Koni frequency damping struts both front and rear ought to make it ride pretty well. Inside, there are three different center LCD screen sizes, depending on trim. 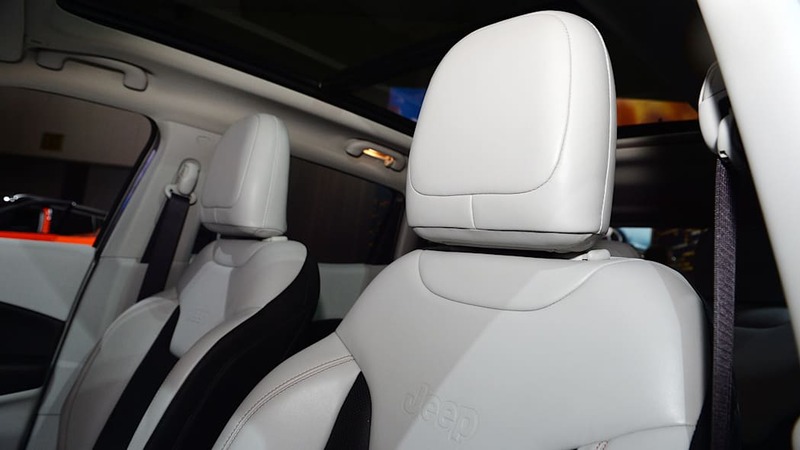 Base models get a 5.0-inch unit, with larger 7.0- and 8.4-inch units optional. 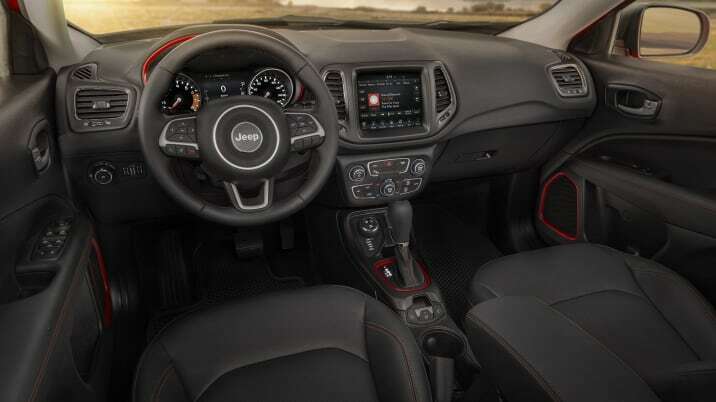 Similarly, the gauge cluster has either a 3.5-inch information display or a full 7-inch digital dash. Apple CarPlay and Android Auto are available. Another welcome sight is a traditional console-mounted shifter. 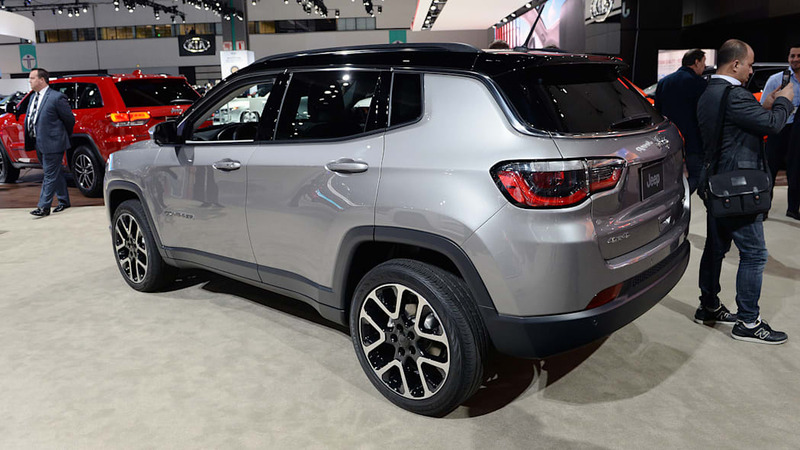 We'll have to wait a little longer to find out when exactly the 2017 Compass will go on sale, and for detailed fuel economy numbers. 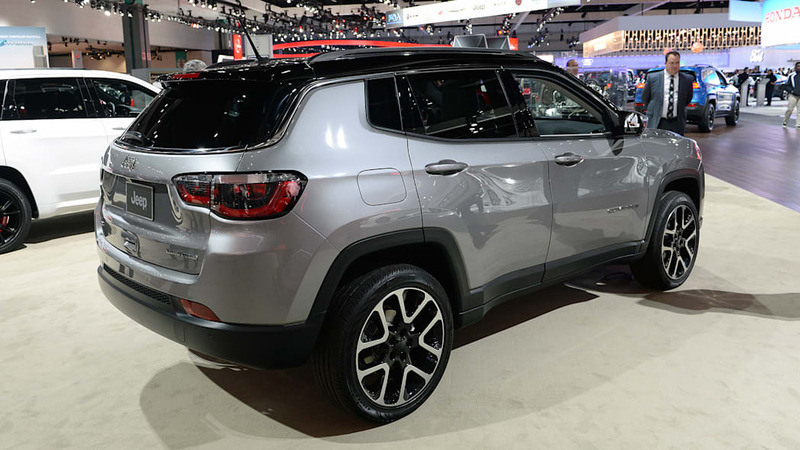 Jeep says the new Compass will deliver up to 30 miles per gallon, but that's likely for a specific front-wheel-drive model. 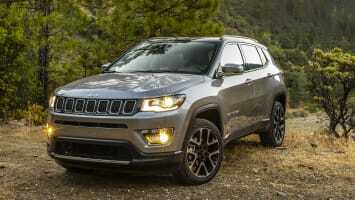 But even though we don't know everything just yet, we already know enough to confidently say that this will be the best Compass that Jeep has ever offered. 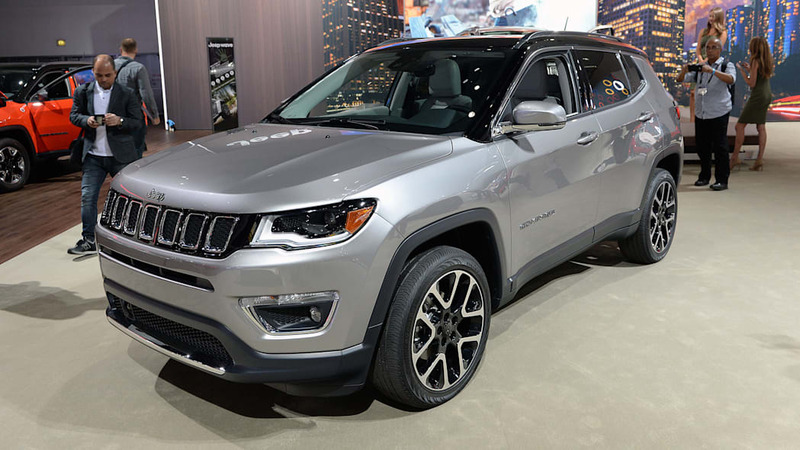 Check it out in the image galleries above, and in the two videos (one highlighting the Limited trim and the other featuring a Trailhawk) below.